Athletes today may be gluten-free, vegan or paleo. They may choose to only eat organic products, or Whole 30 approved foods. It can make selecting a pre-workout snack somewhat complicated. I never really gave much thought to what my gluten-free or vegan running friends did for fuel until one of my Ragnar Relay teammates had to request certain snacks on our Costco run. There are tons of recipes and real foods you can make to fuel your runs if you’ve got dietary restrictions, but sometimes you just want the simplicity of grabbing a prepacked bar and heading out the door. Luckily, there are a lot of options out there nowadays that don't require making your own energy balls or granola bars. I almost always eat half of some sort of a bar in the morning before leaving my apartment for the gym or the office to hold me over until my full breakfast. Even if i'm not doing much running lately, I need something to get me through a strength workout, swim or bike ride. Or even just the NYC rush hour commute. If you’re looking to go the natural route, I’ve found dates to be surprisingly effective at giving me that little boost of energy before a short morning workout. Adding a smear of peanut butter brings it to the next level – as it does with most things. Gluten free, quick to eat, and again – delicious when paired with peanut butter! I’ve recently been turned on to rice cakes’ cousin – the elusive corn cake! They aren’t found as easily in stores, but they’re also gluten free and have much more flavor than your average rice cake! Recently, GoMacro sent me a variety pack of their many different flavored bars to sample and I was really impressed! Not only are all 10 of their flavors gluten free, but they’re vegan as well! My favorite thing about GoMacro bars were that they weren’t overly sugary and sweet, which meant I could have a half of a bar without instantly feeling like I needed to keep eating it because it was like candy. That’s not to say that they didn’t taste good – they just didn’t taste like dessert. Typically I’m a fan of the chocolatey and peanut butter-y flavors – but with GoMacro, I absolutely went CRAZY for the “Sunny Uplift” bar with cherries + berries. It tasted like a healthy cherry pie – probably my favorite bar that I’ve ever had! GoMacro bars didn’t taste chemically to me at all – unlike some others (I'm looking at you, Quest bars, which used to be my go-to and now I can’t stomach!) One thing to note is that they’re on the softer side. If you’re looking for something crunchier, you might want to try a different product. 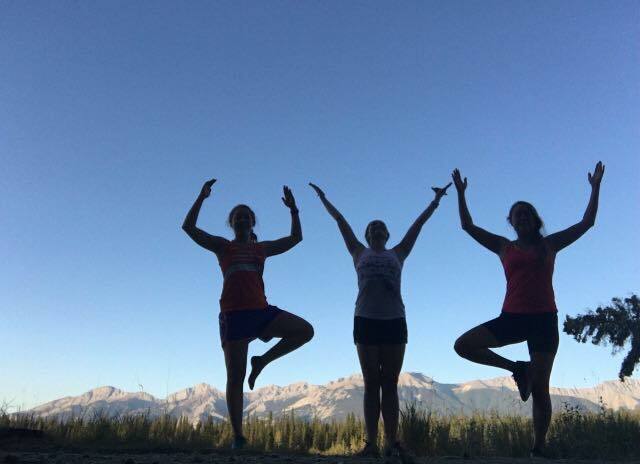 I brought a handful of GoMacro bars with me on my trip to Banff and Jasper this summer, and Callie, Abby and I ate them before runs, during hikes, and as snacks to hold us over until our next meal. KIND bars are produced in a gluten free facility and the company keeps rolling out new products – but their fruit and nut bars are still my favorite because you can tell that it’s got real ingredients. My favorite flavor is the Blueberry Vanilla & Cashew! The consistency of RX bars takes some getting used to – they can be a bit of a workout for your jaw, especially if you’re storing them somewhere on the colder side. That being said, you can’t beat them when it comes to clear cut, simple ingredients. RX bars are all gluten free, but they aren’t vegan as they contain egg whites. It took me awhile to come around to RX bars, but once I tried the Chocolate Coconut I was all in. If you like dates, you’ll love Lara Bars. These are smaller than some of the other bars, but they’re dense and filling and gluten free. What are you favorite bars?